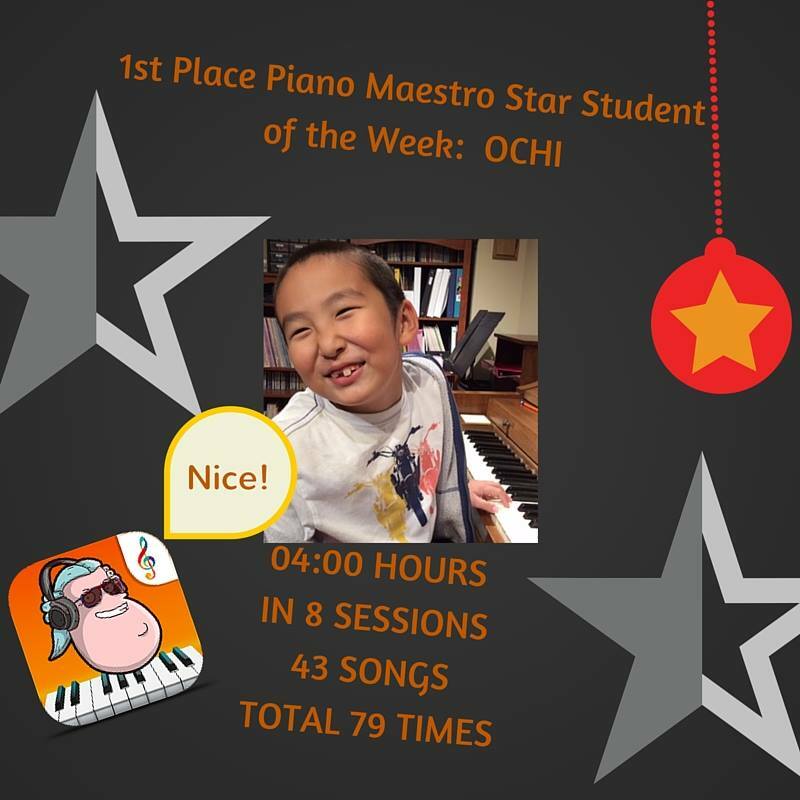 You are here: Home / Piano Teacher / Why I taught until MIDNIGHT! As an Independent Music Teacher (IMT) have your students ever asked you to reschedule for some CRAZY times? (I know mine sure have) but I have a NIFTY line in my policy letter about NO MAKEUP LESSONS. WHY then, was I teaching a family of three piano lessons until Midnight last Thursday? My lovely little students (ages 4,6 and 8)went off to visit family in Mongolia this summer…three months of vacation and NO piano lessons?! I also have a nifty line in my policy letter that states that students must pay regardless of attendance, including summer lessons. I felt horrible that Mom would be paying for all those lessons (of course, I need to pay my bills in the summer too!) and I am such a great teacher that everyone is willing to abide by this policy…however, when mom finished telling me about their travel plans I remembered that I’m a super cool technology enabled teacher and we could just skype or facetime their lessons while they are away. Mom immediately said yes as if she was expecting this all along (silly me) and we planned to create a schedule once they were IN Mongolia. 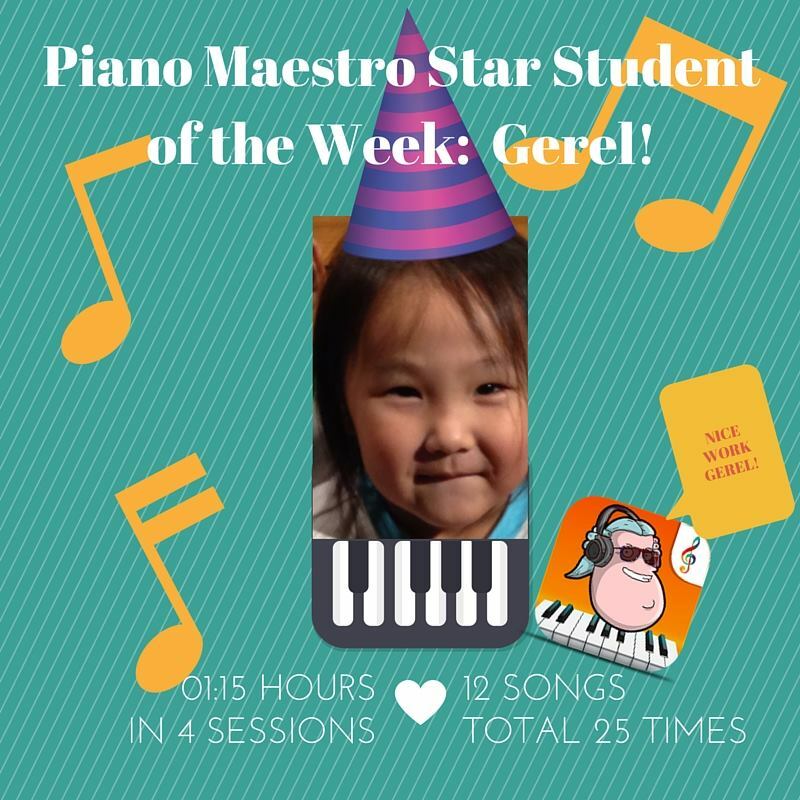 Pictured below: My sweet students who each have been student of the week multiple times; I use Piano Maestro app as my guide in awarding student of the week. Students who don’t have ipads at home have opportunities in other contests as well. This summer has been crazy busy and productive…my best ever, but my schedule was jam packed with activities with my own five year old (t-ball/track/ballet/gymnastics/violin/piano/Music Theater/Playdates) and I soon discovered that times that worked best for both families was to have our lessons around 8 p.m. every night which was around 10 a.m. in Mongolia . We started with skype lessons, and didn’t have much success, so we switched to facetime on thier ipad. I was also using my own ipad, execept for a few times when I would hang up and facetime them back on my iphone so I could show them a certain app (Piano Maestro) that I use to teach! One evening, though, we had a really fun party to attend, so I asked their mom if we could start at…11p.m. Kansas time! I am very used to staying up very late, so this worked out well for me. Yes, I had taken my makeup off and my students didn’t scream~and we had a really great and productive lesson. Some things that other teachers might not tell you about giving online lessons-IT’s EASIER! No shuffling back and forth on the bench, everyone is super focused and you’ll become a teacher (even in live lessons) that uses so many more adjectives to describe the task at hand (phrasing, pedaling, ect.) that you’ll find yourself becoming a better teacher, one who enables their students to learn without you the teacher physically moving them or showing them the task at hand first. Another pro tip is to have everything you need in one location. If you’re not a multi tasker, stay at the piano! I find i’m more inspired moving around when I teach and try to get up each lesson be it facetime or live, but you may be inspired by the bowl of fruit in your kitchen, grab an orange and show your students how the curve of the fingers is just like picking up that juicy orange. It also helps that I have an excellent music memory (thanks Suzuki and perfect pitch!) and have all the materials memorized. My students have not missed a single lesson this summer. They have continued to learn, and more importantly, they have learned that practicing is a daily activity just like Brushing your Teeth. With the affordability of keyboards, you can truly practice anywhere! I am a crazy practice mom myself, and my own daughter takes her Violin on vacations (practice BEFORE Disneyland) and it’s really easy for her to get her practicing in when the rest of the family is getting ready for the day when we are on vacation. Thanks for reading my blog! Please like and follow my facebook page here www.facebook.com/violinjudystudio (freebies! giveaways!) and sign up for my awesome newsletter in the pop up box when you leave this page!